At the beginning of every year, people are inspired by a fresh start; a clean slate; a new beginning. Resolutions are made – I will eat better, work out more, finally create a budget and get my finances on track. However, like many resolutions, after a month or so, regardless of their good intentions, many people lose focus. They stop going to the gym, start giving into cravings and decide to put their investments on hold … again. This is why hiring a financial advisor can be so beneficial. Like a personal trainer or a dietary coach, working with a financial advisor can establish an accountability partner; someone who will help you stay the course. Getting into better shape and improving your health is important, but so is securing your future. And the longer you put it off, the harder it can be to reach your goals. Why? Well, when it comes to investing, time is your friend, so literally, every day you wait, you are losing out. Saving and investing is more important than how much you save and invest. Let’s say you start saving at age 30, and for the next 35 years, you contribute $6,000 per year, or about $500 per month, to your retirement account, earning an average of 8 percent per year. (We’ll assume for simplicity that you added the contributions in a lump sum at the beginning of the year.) By the time you’re 65, that account would be worth more than $1 million ($1,033,000)! If you decide to wait just one year and start at age 31, that account would be worth about $105,000 less. If you wait until age 35, you will lose out on more than $350,000. If you wait until age 40, you will lose out on more than half a million dollars ($594,000)! Any later? Well, you get the picture. Ready to get started? Contact PAX Financial Group for a complimentary, no-strings-attached initial consultation. And start saving for your tomorrow today! Unfortunately, most people don’t start early. But don’t feel bad if you’re one of them. The important thing is to start right away! A lot of people put off financial planning “for the future” because they think it’s a monumental task – an intimidating undertaking that they don’t know how to start. But here’s the good news: It doesn’t have to be. A survey conducted by Wes Moss, author of “You Can Retire Sooner Than You Think,” found that retirees who were happiest with their retirements simply spent at least five hours a year planning for retirement. I’ll repeat: That’s five hours per year. Not per month or per week. Will you need to take care of your parents as they age? How does Medicare actually work? What about Social Security? What happens if your children move back in with you later in life? When hiring a financial advisor to work with, it is always best to rely on a fiduciary to help you instead of a product salesperson, as a fiduciary is obligated to put your best interests first. Salespeople can be difficult to spot, so ask your advisor if he or she is actually a fiduciary, and get the answer in writing! At PAX Financial Group, we work with a lot of first-timers – that’s why I got into this industry in the first place. We understand that taking the first step to financial planning can be scary, so we offer a complimentary initial consultation. The no-strings-attached meeting will take less than two hours and can be held at our offices or by video chat, whichever you prefer. Financial planning is extremely important. 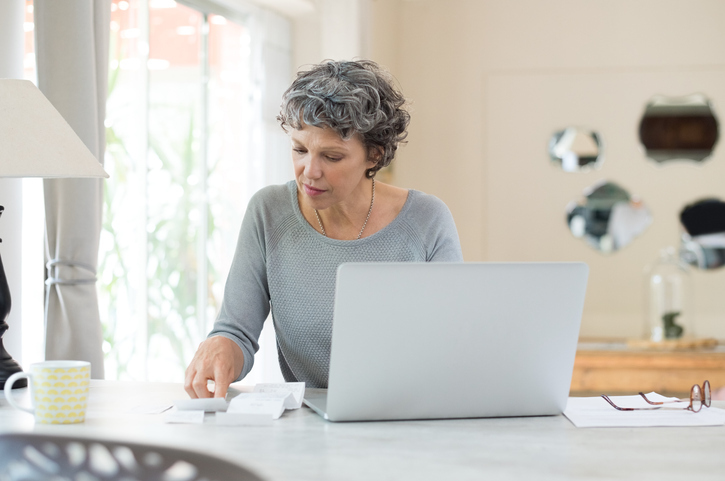 Being prepared can help determine when you can retire, how you can retire and if you’re able to leave anything to your loved ones once you’re gone. Think of your financial plan like you would your next adventure or trip: The destination is a comfortable retirement. There’s not much that is more important than securing your future. Make 2019 the year you get started. If you’re serious about starting a financial plan and finally getting your finances on track, contact us to see how we can help get you started.